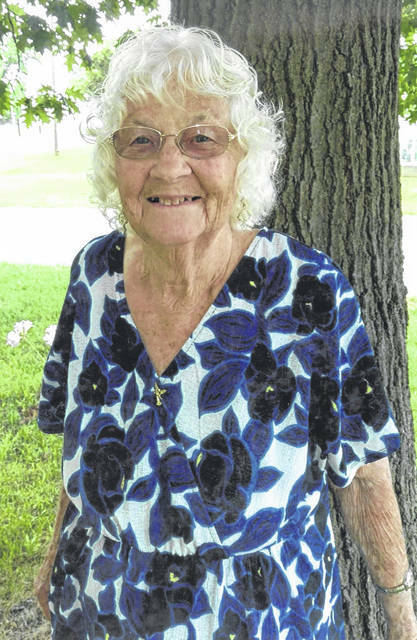 LIMA — Ellen R. Hefner celebrated her 90th birthday on Aug. 23. Hefner was born Aug. 23, 1928, in Cridersville to Charles Russell and Marie Naomi (Lones) Lehman. On April 10, 1949, she married Benjamin J. Hefner, who died Oct. 25, 1983. She has eight children, David (Cheryl) Hefner, Rowena (Dan) Melton, Ben R. (Teresa) Hefner, Robert (Pam) Hefner, Roger (Pat) Hefner, Danny (Shirley) Hefner, Mike (Patty) Hefner and Benita (Moe) Tackett. She has several grandchildren, several great-grandchildren and several great-great-grandchildren. She was preceded in death by a son, Richard Hefner, three daughters-in-law, Shirley, Pattie and Beverly, and one great-granddaughter, Rylee Hefner. Hefner worked 33 years at DWG-R.G. Dunn cigar factory. She also worked at Woolen Mills and the Colonial Motel.